Danielle Peterson hasn't added a story. 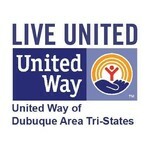 I'm Danielle, crazy would-be Edger and President/CEO of United Way of Dubuque Area Tri-States. Yes, I work here, but rappelling off a building is NOT in my job description! 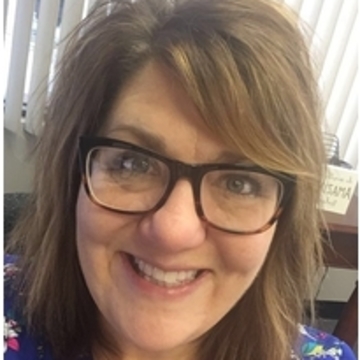 I'm doing this for United Way because I see every day how important the services we support are to our community and I want others to have the opportunity to learn more and to pitch in if you're able. I also know firsthand how important some of these services were for me and my family when we have needed them and if not for funding from the United Way, some of these services wouldn't be available for those of us when we need it the most. Money raised through Over the Edge will be applied to United Way's community impact campaign, which is helping support 36 LOCAL programs, impacting health, education and income/financial stability in our community. This United Way network of nonprofits is amazing! They provide incredible services to our community and work together with us and one another to address community-level issues. The needs in our community are great and we need YOUR help in be able to continue to support quality programming in the tri-state area. If you or your family have NEVER needed a place to stay, a meal when you had none, counseling or substance abuse services, a safe shelter from a violent relationship, or a caring adult to teach your child how to manage their emotions in a healthy way, consider yourself fortunate. That is not the case for many in our community. 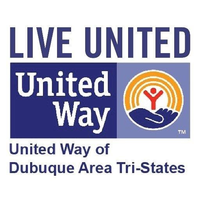 If you want to know about the the things United Way helps fund, you can check it out here: https://dbqunitedway.org/cms-view-page.php?page=2018-2020-grant-awards . Thanks for taking a minute to learn more about United Way and what we offer the community. I'm glad to be able to share our message which will hopefully compel people to take action and participate in helping raise the much needed funds that support our community. I hope you consider helping me hit my goal and also that you come down to watch and cheer me on! I will need some EXTREME support! Danielle Peterson hasn't posted any updates yet.